↑ Если не сложно, объясните почему стоит отключить эти дорожные происшествия?! Дождь, траффик и штрафы надо синхронизировать. Нет информации, когда разработчики добавят поддержку мультиплеера под 1.33? Well. Solved. 1. Write letter to support devs. 2. SCS Software Tech Support send special token with your Steam. 3. They delete my second account. 4. I can linked ATS on my main profile. Huh. Nope. I waiting answer from devs. As soon as they answer, I'll write a solution here. I know. Anyway thank you guys! Thank you guys for try help! First, you can check my TruckMP. I know about profile set via Steam. Second, I wrote and sent a letter via e-mail: https://www.worldoftrucks.com/en/support.php . Third, initially, it was necessary to write to them. 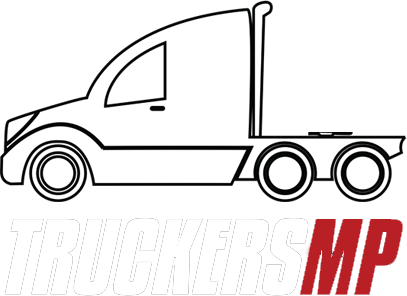 I did not at first inattentively study the problem and thought that TruckersMP and developers are one organization. P.S. I have 1 account here and i hope devs help me.